I bet you didn't know that there are Pokemon games that you haven't played yet. The Pokemon phenomenon started in Japan in 1996 (North America wasn't until 1998), and the world hasn't stopped wanting to become the greatest Pokemon trainer since. The Pokemon world tends to be a vibrant, colorful place full of hopes and dreams and the ever-present unusual animals based off zoology and folklore. If you're anything like me, you've probably spent hundreds of hours wandering the digital wilderness of the Pokemon games looking to fight, capture and train a wide assortment of Pocket Monsters. Pokemon has taken us across several fictional worlds where we could capture and train upwards of 700 different creatures. And now thanks to Nintendo and Niantic Labs, you can finally feel like you're actually catching them yourself with Pokemon Go. But I bet you didn't know that there are Pokemon games that you haven't played yet? Pokemon Fans are nothing if not tenacious. We love our Pokemon, and thanks to some fans with some software development skills and artistic ability, we've been given a goldmine of new content in the form of ROM hacks. There are hundreds of these hacks that can be found for free online; some even loaded on actual Game Boy Advance cartridges. Some are breathtaking and others are laughable at best, but the fact remains that you still haven't scratched the surface of the Pokemon world until you've tried a few of these hacks. Here are the ten games that you need to play. We all know that the Pokemon games and the Pokemon anime/manga don't really match up. Their stories are obviously different, but the tweaks in Pokemon AshGray allow you to actually follow the events of the episodic cartoon. This includes leaving Pikachu to live in the forest with the other Pikachu and giving donuts to Primeapes. Pokemon AshGray is an Easter egg filled beauty. Now this game is on the list for the complete shift in experience that you'll get. A normal Pokemon game pits a variety of creatures against each other in combat. Whereas in Pokemon Moemon you'll find yourself collecting and battling a bevy of cosplay girls (sprite form) dressed as the various Pokemon characters they're intended to be. The harem of costumed girl will make you think twice about pushing your collection to the limit as they pass out from the pain and collapse in front of you. The basic premise of Pokemon hasn't changed since it's creation 20 years ago: choose a starter Pokemon, collect wild ones, battle and train then, face off against a rival and then conquer the local gyms and then the Elite Four. Pokemon: Advance Adventure alters the story a little, mainly just your rival, Gary. In Pokemon: Advance Adventure Gary is less your rival and more a psychotic, bloodthirsty fear-monger who rules the world and the only way to defeat him it to best his eight evil subordinates. Okay, so Pokemon Quartz isn't the most polished stone in the quarry (see what I did there?) but that is easily outweighed by the sheer inventiveness of the game. Pokemon Quartz has a roster of completely original Pokemon (except a few palette-swapped Pokemon who made it through). Even though the translation is lacking, it's a fairly incredible effort on the designers part for creating a new collection of monsters to train and battle. Take the oddball creator of the Pokemon Storage System and give him free reign over hybrid creation, and you have Pokemon Fusion Generation. In this game you can capture and train Pokemon from several different generations as well as countless 'blended' creatures that have been fused together into new creatures altogether. Pokemon Fusion Generation adds a unique twist to the normal gameplay including dealing with the ethics of fusion itself: two creatures are merged but only one is created. Do both get destroyed and one completely original takes its place? Does it have two brains? two souls? No, not the fifth generation game released in 2010, this Pokemon Black is a different beast altogether. Pokemon Black is said to have originated in a flea market in 2005, where an unwitting child discovered a Game Boy cartridge that said Pokemon, but was Jet Black in color. After snagging the cartridge he chose to play it and his life was forever altered and he became a cold blooded killer - or at least that's how the story goes. Anyways, Pokemon Black starts off identical to Pokemon Blue and Red, except you get the option of a fourth pokemon, called Ghost. If you choose Ghost, you would embark on an adventure that would leave all Pokemon and trainers left cursed in your wake, only to be gravestones upon returning to their location. You play through the game until the final battle: one that will change your life forever. So, spoiler alert - this game is just a form of creepypasta, a horror legend that has been copy-and-pasted across the internet for years. But it would definitely be an interesting game to play through (sans the whole becoming a mass murderer part). Pokemon Dark Rising is a far-reaching venture as far as ROM hacks go, it amps up the difficulty way past 10. Pokemon Dark Rising demands an insanely difficult pace to even stand a chance of finishing the final battle (six level 99 legendary creatures). Pokemon Dark Rising collects Pokemon from the first 5 generations of games and gives you a huge world to explore, a world that is notably darker than the normal Pokemon adventure. Pokemon Dark Rising is ambitious and it succeeds in creating a unique game that warrants repeat playthroughs. It's also worth noting that your starter pokemon are all Dragon-type, which is a unique change of pace. 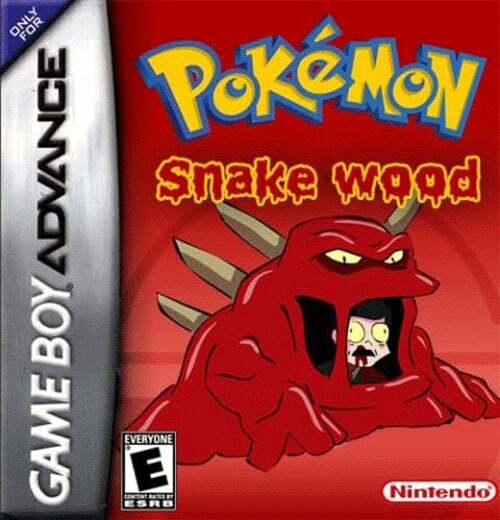 Pokemon Snakewood takes a unique twist on the standard story and weaves a tale of the apocalypse. Actually, several apocalypses (zombie, demonic, mystic - you name it and Snakewood has got it) are involved in how the Pokemon world devolved to the state it is in Pokemon Snakewood. Throughout the game you face the Four Horsemen, demons, zombie trainers who train zombie Pokemon with clever pun-filled names like Rotmander, Oozle and Boilbasaur. 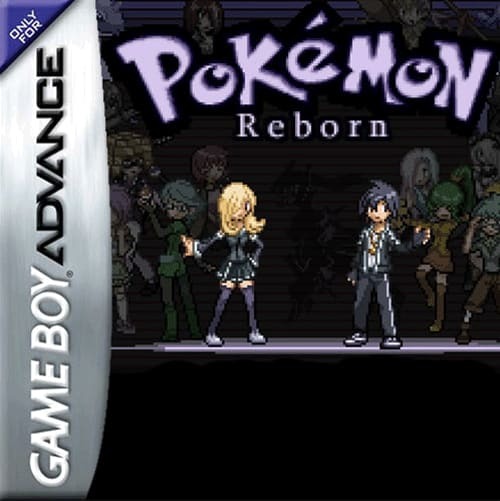 The second apocalyptic Pokemon game on the list is Pokemon Reborn, but it is far less 'upbeat' in comparison to Snakewood. Pokemon Reborn diverges from the normal storyline of a Pokemon game, and rather than trying to be the greatest trainer in the world you've been tasked with reversing the near extinction of Pokemon as the world knows it. Amidst your scientist and conservationist partnering, you have to stop a terrorist organization from destroying Reborn City. Pokemon Reborn is constantly being updated to include the new generations of Pokemon (the developers hope to include all current 721 creatures eventually) and on top of the the training method was overhauled and attack effectiveness is also affected by the environment and weather where you are. Now even though Pokemon Light Platinum is the least inventive, it's the most complete. Pokemon Light Platinum feels like a real Pokemon game should, and it's enormous. There are Pokemon from four generations, new sprites, two massive regions to explore complete with badges and Pokemon Leagues - then finish it off with a World Championship that puts every other Pokemon adventure to shame. Pokemon Light Platinum feels like the real deal, which is why it earned the number one spot. There you have it, 10 Pokemon games that you probably haven't played yet. But hopefully you'll seek a few of these games out and test your Pokemon skill on a new adventure. These 10 are just my favorite options, but there are countless options out there.